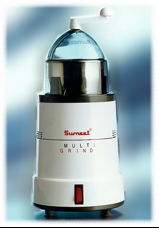 Sumeet Multi-Grind. 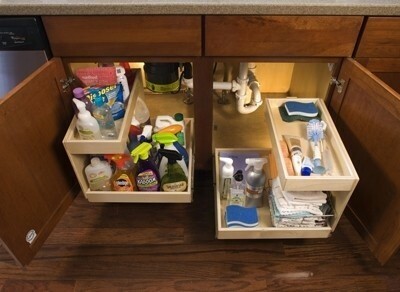 Best countertop appliance ever. The Multi Grind takes anything you put into it and makes it into a fine powder or paste. 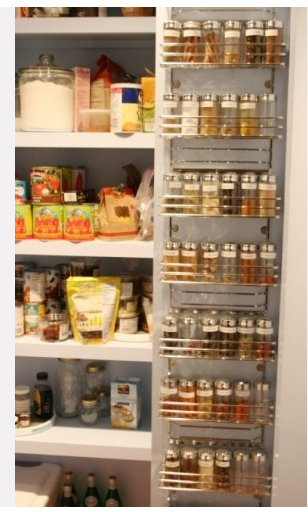 Ground spices, nuts, grains, curry pastes, you name it. It was love at first site for me and the Multi Grind (discovered at an Institute for Culinary Education glass in Thai Curries), and she’s had a place of pride on our countertop ever since. No flowers and chocolates for this girl (well, ok, no flowers, but I’m more than happy to receive seriously good chocolate)! So, where do we begin? 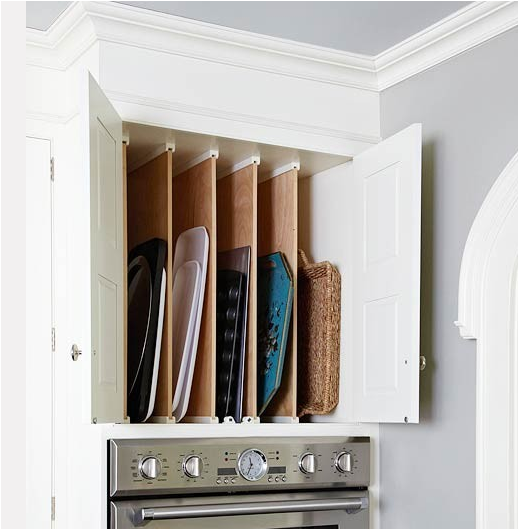 For a refresher on the floorplan, cabinet style, island stone and backsplash, take a look at our backsplash conundrum post (and feel free to continue to weigh in on that one…we’re opting to wait on that decision until after the cabinets are in). 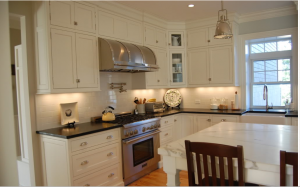 For the lighting, take a look at our kitchen lighting, blue or grey post (we’re going with grey – thanks again everyone!). For our rocking faucet, head to the bottom of this post. White fantasy quartzite: our likely countertop choice. 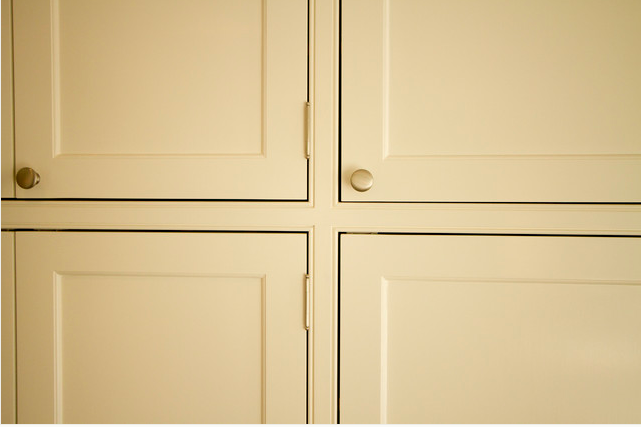 Beaded face frame cabinetry. 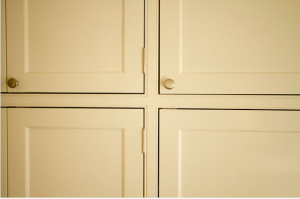 Ours will be a whiter color overall with concealed hinges. Modern aire PS-26 hood in brushed stainless with polished steel rivets and bands. 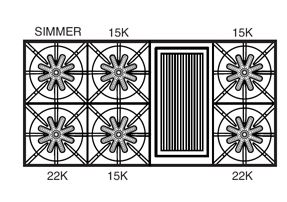 Ours will be about 18 inches wider to accommodate the larger rangetop plus some overhang for more power. 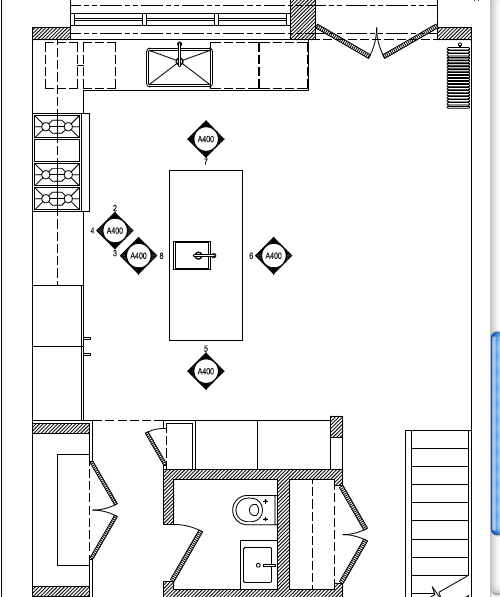 Floorplan of our new kitchen. 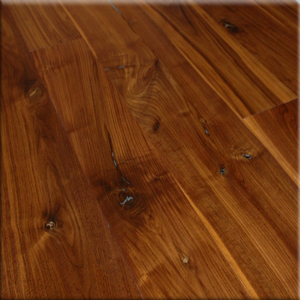 Character Grade Natural Finish American Walnut. This will be used throughout the house, including the kitchen. Waterstone Gantry faucet. We’ll have a matching faucet in our prep sink in the island. The grey dining room light from Niche Modern. Ours will be the one with 4 bulbs. At 13 inches in diameter, it turned out to be larger in person than it looks online, which is perfect. The clear Bella pendant light. We’ll have two over our island. The light is the narrower bell-shaped light with the light saber bulb. What’s left? Nothing, I guess…oh wait! 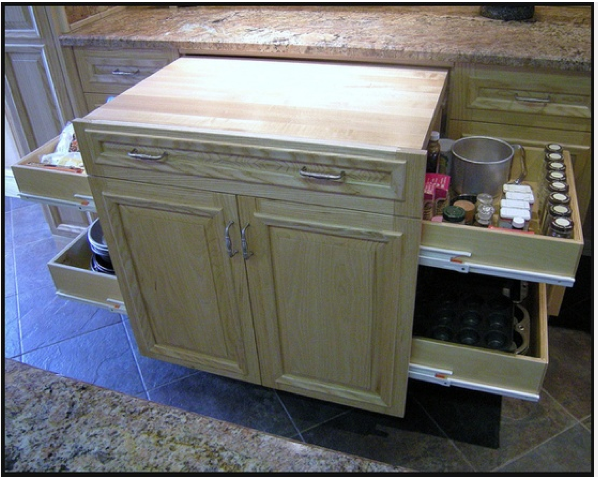 The appliances and cabinet inserts. We spent a ridiculous amount of time researching appliances, as one should, as well as where to buy them. We’re ultimately going with AJ Madison as they offered great deals for bulk purchases through our contractor. We wanted to go with a smaller mom and pop place in NJ, but between the sales tax (which they couldn’t waive), delivery fees and overall pricing, plus a tremendously antiquated paper-based system, AJ Madison turned out to be the winner. 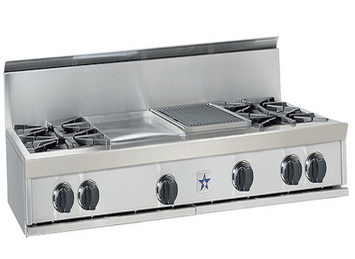 Bluestar rangetop. Ours will not have the griddle. 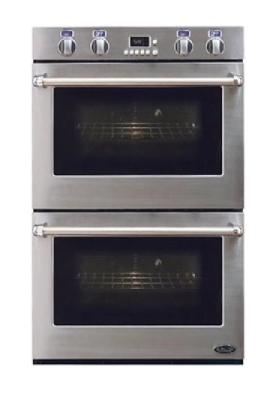 The hardware in the oven itself was far superior to many of the other options, and it includes great features like a built in probe thermometer, proofing functionality and the best broiler available on an electric oven at half the price of Wolf ovens (generally considered tops for electric ovens). We briefly toyed with the idea having one regular oven and on Gaggenau steam oven or combi oven (both of which offer great options for bread baking), but in the end, the great price and excellent features of the DCS ovens made them the winner. 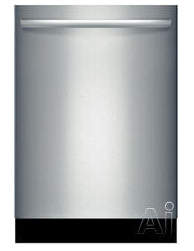 Bosch 800 Plus Series SHX7ER55UC. Sinks: Having had a stainless sink in our last apartment that looked scratched and beat up from the jump, we wanted to go for a porcelain sink this time around. However, we also have seen the typical apron-front, farmhouse sink stained and mottled when the standard white model is used. 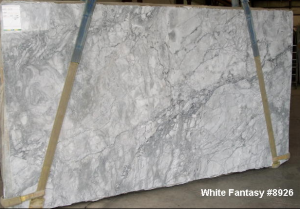 We found a great option with the Blanco Silgranit line, made from 80% granite, which promises to be stain free. We’ll be using them for both the main and the prep sink. We were able to score an unbelievable price on both sinks at Hayneedle through regular searching and dogged persistence (a week later and the price has increased there by 40%)! Microwave: We toyed with various options and locations for the microwave, and after reading the pros and cons of every possible option, we’re going with a cheap, non built-in option that comes highly recommended. This is your average Panasonic model with none of the bells and whistles we don’t need (convection oven, oversized capacity, etc.) and the one we can’t live without (a mute function…truly, if you have kids, this is a godsend). 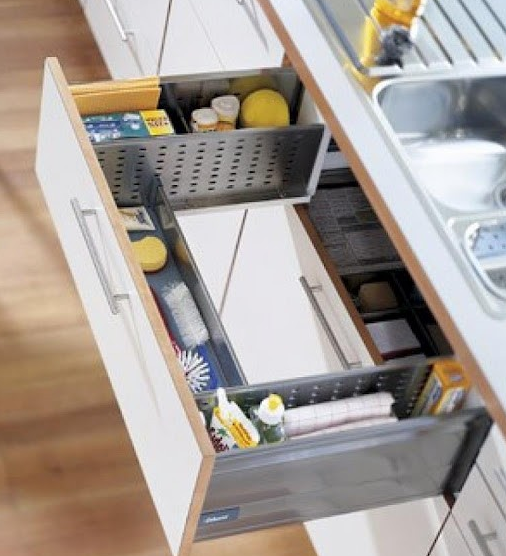 We also considered Sharp’s line of drawer microwaves, but we were turned off by the price and user complaints about the door and the ease of putting things in and pulling things out. 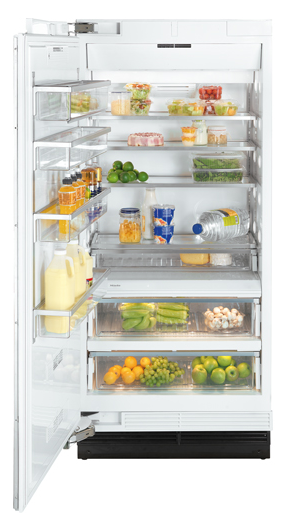 One final tip for microwave selection: with built-in microwaves running well over $2000 (Yes! 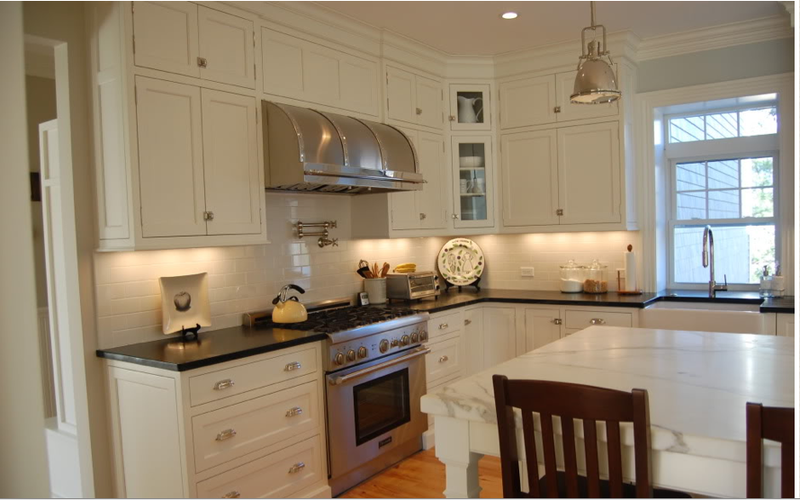 ), you can buy a trim kit for less than $200 that will work with your $200 microwave and achieve the same look. 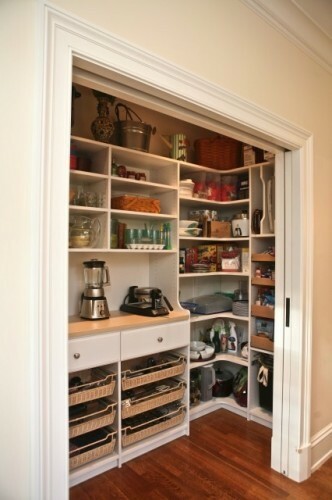 Pantry design (ours will have french doors). Yes. Designed to accommodate both bread and pastry baking, this will be brownstonegirl’s personal corner of heaven in this kitchen. 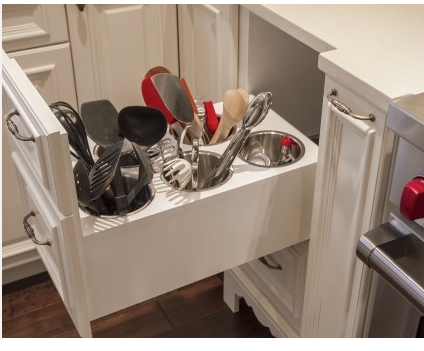 The perfect height for kneading bread by hand, the wooden board need not be dragged up to counter height; it’ll easily be stored away underneath when not in use. Awesome. The stuff dreams are made of, indeed. What are we looking forward to the most? 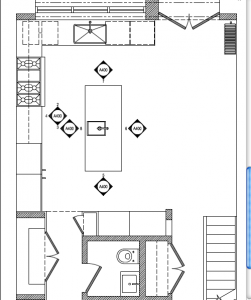 Just having counterspace again – such a luxury after several consecutive rentals with limited space! Stage 2 complete: scratch coat! © 2019 Wandernesting. All Rights Reserved.